Home › Blog › Can Newheek’s high voltage cable be used on U-arm? Newheek’s U-arm standard configuration is X Ray HV Generator, X Ray Tube, Collimator, UCARM, Digital Flat Panel Detector, Image Workstation and two high voltage cables. The high voltage cable on the U-arm can be used with Newheek’s 75kv or 90kv high voltage cable. The choice of 75kv or 90kv high voltage cable depends on the data of the U-arm tube. In general, the 75kv high voltage cable is suitable for 125Kv bulbs and the 90kv is suitable for 150kv bulbs. So, how long is the high voltage cable on the U-arm? Our Newheek U-arm is equipped with a 8m high voltage cable. Regarding the length problem, Newheek can customize different lengths according to customer needs. 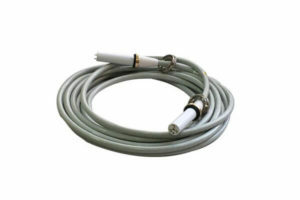 Newheek’s high voltage cables are usually 2m, 4m, 6m, 8m, 12m, 15m, 20m. Let’s talk about the characteristics of Newheek’s high voltage cable. If you have other needs or would like to know more about Newheek high voltage cable, please contact our customer service.